In a series of 8 black and white vignettes the first half of Morir (o no) examines a series of seemingly unrelated tragic deaths (heart attack, overdose, murder, etc.). The second half of the film revisits the same scenarios (this time in colour) and by proposing the question "what if?" one person's death could have prevented and how it would affect the other deaths. This gruesome sounding premise is brillantly framed by the story of a screen writer, who begins to tell his wife of an idea he has for a new movie about death which sounds very similar to the one we are watching. The writer begins to describe the scenario where a young man is accidently struck down on his moped by a police car on the way to the scene of a crime. As he lies dying in the street a the voice of God asks him if he chooses to live or die. The boy says he would first like to know what his life would be like had he lived. God then shows him how his life would have played out based on the boys desires. As the writer is relating this tale, he becomes more excited an agitated to the point where he collapses from a heart attack, and so begins the series of deaths. As each scene plays it self out the senslessness of the deaths accumulates until the point where the process is reveresed. At the end of the eight black and white vignettes I found myself numb to the deaths I had witnessed, feeling a diminishing sense of loss and that the tragedy of each death became muted by the end. Interstingly enough by undoing the deaths the second half of the film, the process manages to highlight the tragic nature of the deaths in the first place. In a neat twist of events, we are shown how the redemption of one person can have a huge impact on others and how each of the characters and their demise are related. While the use of colour and black & white segments to contrast the different outcomes may have been a little too melodramatic, the story works well for the most part. The film demonstrates how every action has consequences and that ordinary decisions and choices have unforseen impacts on others around us both positive and negative. 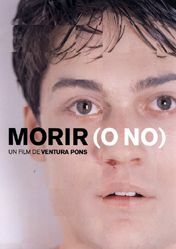 While not quite the tight pacing of Run Lola Run, Morir (o no) does manage to capture your interest and hold it. I highly recommend it if you ever have the opportunity to see it.